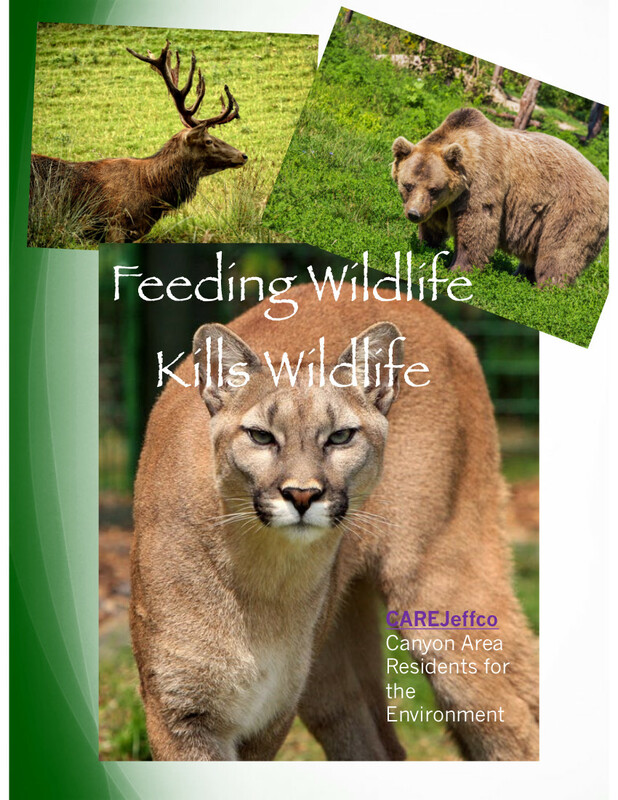 CARE is a nonprofit coalition of HOA’s and associations umbrella homeowner’s association in the central mountains of Jefferson County. Purpose: to preserve and enhance the community and the environment, provide a forum for community deliberation and a unified affirmative action to promote positive governmental action consistent with the needs of the area. Jefferson County area between Clear Creek and Bear Creek from the Hogback to the Western Border of Jefferson County. The CARE area is bisected by Mt. Vernon Canyon and Interstate 70 and includes Mt. Morrison, Genesee and Lininger Mountain and Mt. Vernon. Information and Resources for dealing with fire in the mountains , including Kitty Pring’s presentation on wildfire mitigation grants for HOAs. Weeds are a growing concern in our neighborhood. Many homeowner associations and individuals informed CARE that they felt overwhelmed by the numbers of weeds after last summer’s rains, particularly, the Bull, Canadian, and Musk thistles. Neighbors who had worked hard to eliminate noxious weeds despaired because neighboring areas were infested so the weeds would return. CARE hopes to help share information on what works, investigate grants and foster cooperation in dealing with this invasion. Click on a picture or weed name below to see more information about the weed. Read about what was done to achieve the Thistle free pasture. Resources, Methods & Links for Fighting noxious weeds.